The narrator explains that he was waiting at a way-station in St. Louis and was engaged in conversation by a man who begin to ask him a range of questions of politics since the narrator was from Washington. A passing conversation sparks memories in the man's eyes and he promises to tell him a story but the narrator must not interrupt him. The man relates a tale about a train leaving St. Louis in 1853 that he was on with only other men. A hard and steady snow stops the train in its tracks in the middle of nowhere--miles from anywhere. The riders tolerate this initially but as the days begin to pass, the hunger gets them increasingly concerned. After a week, they decide to do something about it. They decide it is time to eat someone and begin to discuss the matter. People begin to volunteer one another until they establish representatives, committees, and an executive board. They then move forward with more formal debating to determine who will be first. Through this process they begin to elect people for consumption and are making their way through the men while the cold and impenetrable snow piles up. At this point the narrator interrupts to verify that cannibalism actually happened and the man confirms it. The man continues on but is interrupted by his stop. He wishes the narrator a pleasant journey and leaves. The narrator is awestruck by the story he's been told and asks the conduct about the man. The conductor explains that the man was a member of Congress and did get stuck in a train car in snow. He nearly died but there was no cannibalism. He also regularly tells the tale to passersby and changes the details in accordance to how much time he has. The narrator is relieved to be dealing with a madman instead of a cannibal. A typical Twain yarn that makes the extreme (cannibalism) amusing--well before we had zombie comedies. 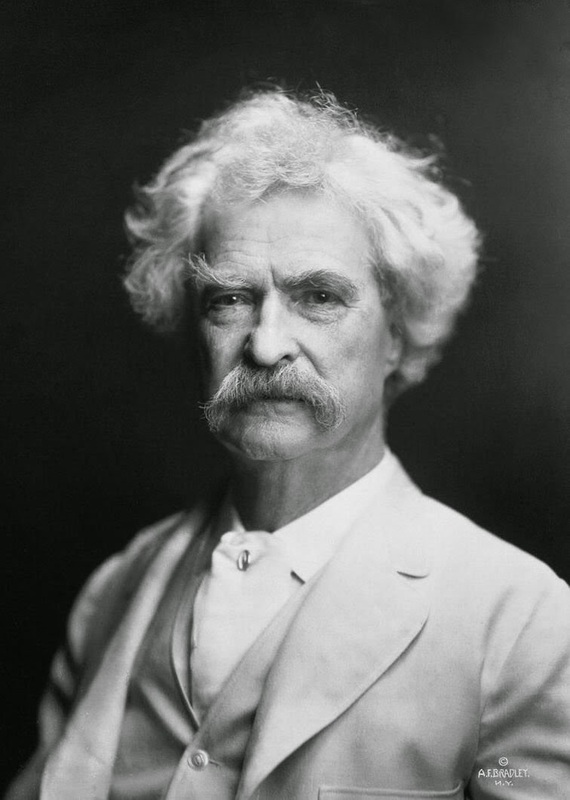 The story is a fun read and like much of Twain's humorous writing has that story-within-a-story dynamic that seems to go back to The Celebrated Jumping Frog of Calaveras County.